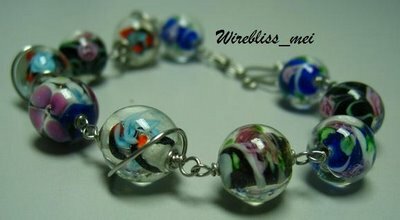 This bracelet is also made of glass beads from China. Sizes vary between beads. Holes also varies therefore some as can be seen here is wrapped with additional wire just to cover up the bigger holes so that the bead doesn’t slip thru the loop.